* Be suspicious of anything described as extra virgin that costs less than $10 a liter. It may not be the real thing. * Look for the seal of the International Olive Council (IOC) and for a harvesting date or description on the label, rather the same as you find on wine labels. (These can be forged but not likely). Not all good oils have the IOC seal, but it’s best if it’s there. * Most California Olive Oils are genuine. 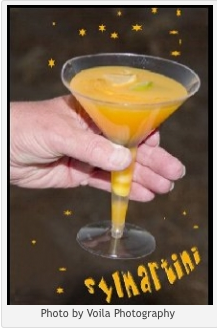 Lemon drops and Tampico citrus punch symbolize the large citrus groves of lemons, oranges and limes that used to grow in Sylmar and the San Fernando Valley. Black seedless grapes substitute for the traditional Martini olive, and symbolize Sylmar’s olive history. Sylmar was once the site of the world’s largest olive grove, and the area produced some of the world’s finest olive oil. Add vodka or gin and you have a Sylmartini! The Pioneer Cemetery in Sylmar has recently been visited by The Ghost Girls! Rumor has it they will be haunting the cemetery again. Very soon. The cemetery scene in the film The Night of the Living Dead was thought to have been filmed at the Pioneer Cemetery, but according to art director, Clayton Hartley, it was actually filmed in an olive grove located in a Sylmar back yard. The cemetery scene in the film Plan 9 From Outer Space WAS filmed in the Pioneer Cemetery. 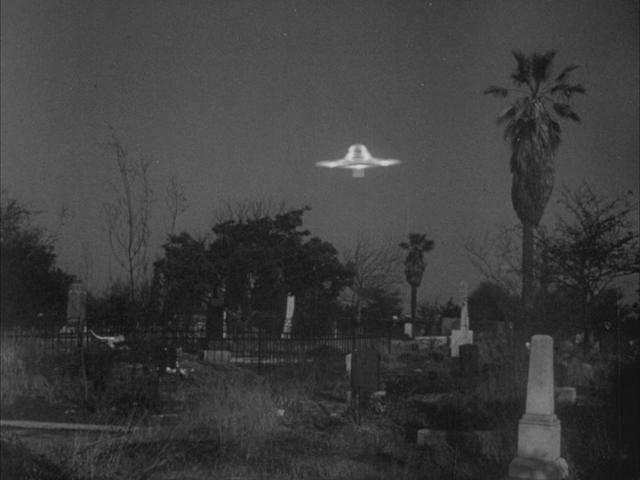 The photograph to the left shows a flying saucer over the Pioneer Cemetery from a scene in Plan 9. Check the local calendar for an occasional cemetery screening of Plan 9 or a spooky flashlight tour. 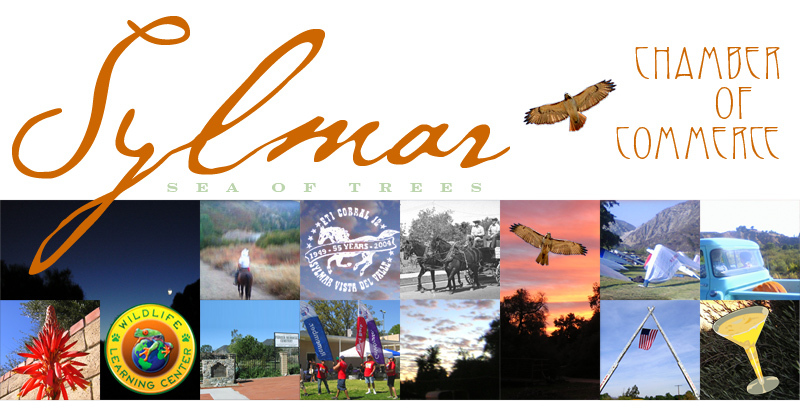 Serving the community of Sylmar and surrounding areas, including small business, hotels, restaurants and non-profits. Privacy Statement: This site does NOT collect personal information.